The Albany Barn is a weird landlord. "We kind of like it when people leave," says Barn president Jeff Mirel, "as long as they stay in the neighborhood." The Barn, of course, is not an actual barn. It's the former Saint Joseph's Academy in Albany's Arbor Hill neighborhood. 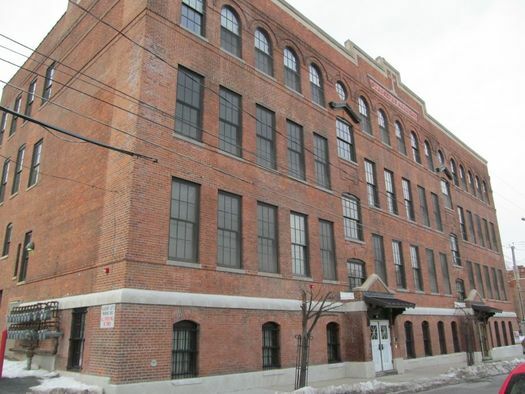 More than two years ago it was converted into a mix of HUD-subsidized live/work apartments for artists and studio/theater/office space for art, performance, and community-building activities. The goal: creative placemaking that the Barn's leadership hopes will help the neighborhood with a constant influx of new art and ideas. "This is a stepping stone for artists," says Mirel of the Barn's assistance to artists, which also includes help with marketing and business. "Success is not required -- trying to achieve is. We say 'Yes, go out into the world, let us serve someone else.'" Ideally, Mirel says, Barn artists will plant roots in the neighborhood, hiring locally, training young people, and being a part of creating a vibrant area. Meanwhile other artists will move into their affordable spaces at the Barn, so there is always an influx of new artists. So, that's the plan. After nearly two years, how's it going? And what's next? 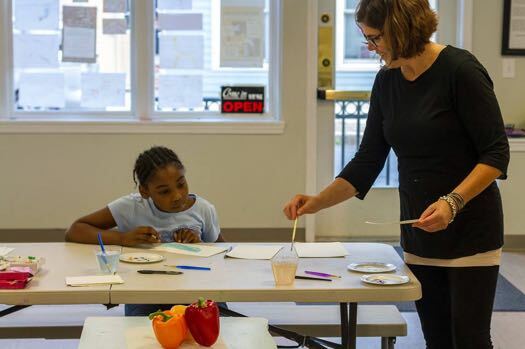 When the Barn opened its Stage 1 Gallery, a few doors away from the old Saint Joseph's School, executive director Kristen Holler says neighborhood kids were the early adopters. "I would keep the gallery open on Sunday mornings to catch people coming home from church. Kids would come running in, and the parents and grandparents would be pulling them out by the feet saying, 'Don't go in there. They don't want you in there. That's not for you.'" Holler says. "And I would say 'Noooooo. No, no. We are here for you. Don't make me sit here all alone on a Sunday morning. Come in and look at the artwork. Let's talk.' But the neighbors now will ask me, 'What are you up to? What do they have you doing today?'" Part of that, she says, is because of the Barn's mission. Barn artists are required to somehow use their talents to benefit the neighborhood. "I don't think there is a typical way that people involve themselves," says Holler. "Everybody is free to involve themselves in the way that they are best suited." 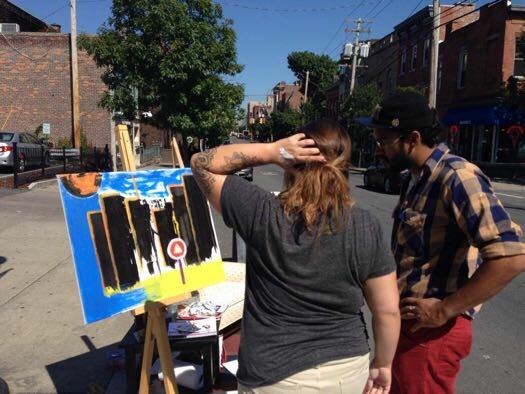 One artist worked as a health care navigator and held information sessions for the neighborhood. One group curates free exhibitions at The Barn, Stage One, Kings Place Gallery and the Stephen and Harriet Myers Residence to give Arbor Hill more of a presence in the monthly 1st Friday nights. 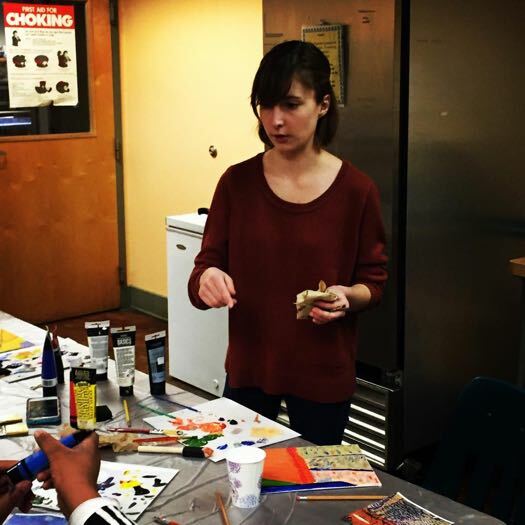 Artists hold classes at the emergency shelter at Interfaith Partnership for the Homeless and a regular free art class for kids at The Barn. With help from the Albany County DA's office Barn artists created and taught art programs at Albany summer camps in 2015. 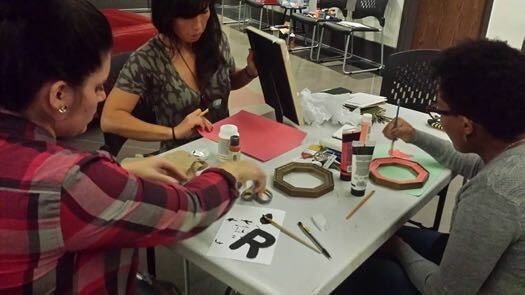 "A lot of the folks who participated don't identify themselves as teaching artists," says Holler, "but they taught the kids, and the kids had a great time. And this year nearly all 100 pieces in our Summer in the City art show were done with the involvement of an Albany Barn artist." 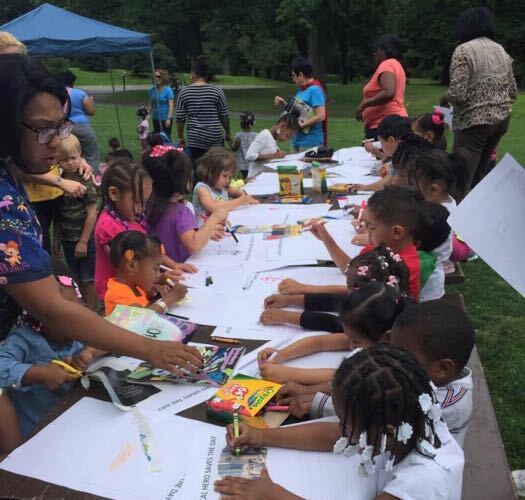 In August artists worked with the Sons of Arbor Hill, the NAACP, and local county and city representatives to create a summer festival in Swan Street Park. "One of our residents put together an oral history about Arbor Hill," says Holler, "and he did a video for that and there was a drum class and a sign made to honor some entrepreneurs and athletes who came from Arbor Hill -- so there is a lot of different ways people are getting involved." 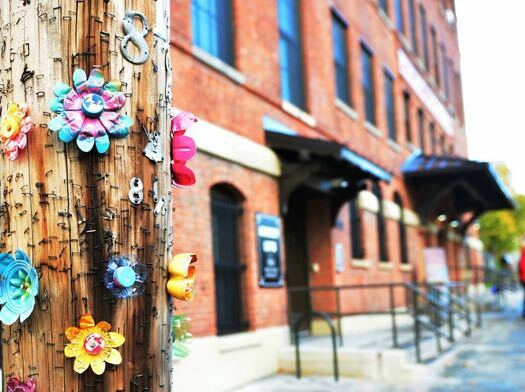 Also, Barn artists have been putting random art around the neighborhood -- vacant buildings, telephone poles, in windows -- in an effort to surprise people with something beautiful. The challenge, Holler says, is not ideas. "My idea bin is full. There's just a lot of things happening and because of our staffing and getting our feet under us, we're trying to figure out which programs we can repeat without getting stale." One of those is The Barn's Lyrical Leaders program, which, last fall, brought six Albany area hip-hop artists together with teens to teach the kids about making music. "Part of the program was about building awareness for these young people about what they were consuming," says Holler. "Then they created programing that goes against the mainstream -- so they know you don't have to produce music that is about violence or degrading women. And they were able to include SAT vocabulary and make it educational in a way that is disguised as fun. You were seeing these really passionate, motivated, successful people they could look up to and had a great message and were teaching them things." They've also started a "From the Page to the Stage" program with Albany Poets to get kids comfortable with poetry and public speaking. There's a new plan to add stand-up comedy to that mix. Holler says after two years, the first real influx of new artists is about to happen at the Barn's residences. Artists can stay as long as they want as long as they meet the age and income criteria. "Some of these new folks have been on the waiting list for two years," says Holler. Moving on, she says, means that many of the first Barn artists have achieved a new level of success in their field, and no longer need the subsidized housing. Now the goal is to try and keep artists in the neighborhood and to invite the neighborhood into The Barn. "Albany Housing Authority has seven storefronts in the neighborhood," says Holler, "We are looking at artists who are looking for space. We have some people who are looking to work in mediums that aren't easily accommodated within the Barn. We can't really fire clay here. Metal working and woodworking would be somewhat difficult in the Barn -- but if you are looking for more space there are storefronts available for a song." The Barn has a research intern from Siena figuring out what buildings are available and who owns them. The plan is to take pictures and help market the buildings to artists. They're also looking to expand cottage industry and place-making efforts to the Sheridan Hollow neighborhood. Jeff Mirel says the Barn is drawing some inspiration from another local project, the Tech Valley Center of Gravity in Troy. He says the Barn is looking for ways to engage more people from the neighborhood. As the Barn leadership thinks about ways to engage more people from the neighborhood, Mirel says he's particularly impressed by programs like the COG's THINQubator program for kids. Also inspired by the COG are new efforts to bring in equipment for silk screening and large-format 3D printing -- items that would be helpful to artists and the public, but can be cost prohibitive. 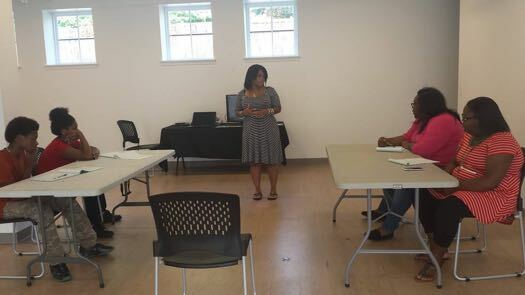 "We're thinking about how to engage more people from the neighborhood and help them develop more marketable skills," says Mirel. "Start up culture was once a term reserved for tech culture -- for a place like Silicon Valley. The term is more amorphous now and we feel very much like we are part of a start-up culture." AOA was a media sponsor of The Barn's Fusion fundraiser event.